Nuxe, a very popular French cosmetics brand found in pharmacies, is now sold at walgreens.com and Target. It was already availabe in the US through different websites (nuxe.com, beauty.com, dermstore.com...) but now that it can be purchased from a major drugstore, I though it was a good time to tell you about the brand's best-sellers. Nuxe was born in Paris in the 1990s from a woman entrepreneur, who thought nature could provide the best ingredients in beauty products. 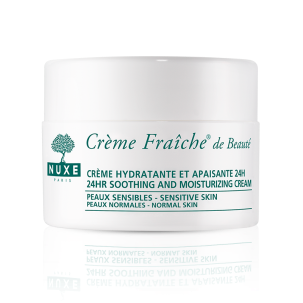 Nuxe products contain a lot of plant extracts and natural substances, although they are not marketed as "natural" or organic (in fact Nuxe has a sub-brand specialized in organic cosmetics called Bio Beauté by Nuxe, which is not available in the US as far as I know). I will review this one soon! This is a multi-tasking dry oil that can be used on skin and hair. It is Nuxe's star product and it has gained cult status in France. 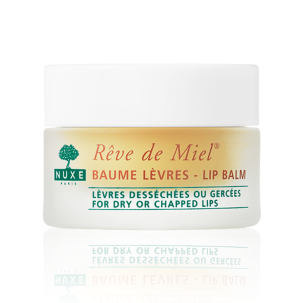 The "honey dream" lip balm is beloved because it efficiently repairs dry lips but also because of its sweet honey scent. Despite a recent reformulation that disappointed some long time fans, this moisturizing face cream is still a best-seller. My opinion: Nuxe is a solid brand that makes great products with nice textures and luxurious scents, and you shouldn't hesitate to give it a try if you like to discover new ranges. Keep in mind that pharmacy skincare brands in France tend to be higher-quality than in the US (think about Avène, La-Roche-Posay, Vichy, Bioderma, Caudalie - yes Caudalie is sold in drugstores in France! ), so don't be turned off even if you usually prefer high-end brands. 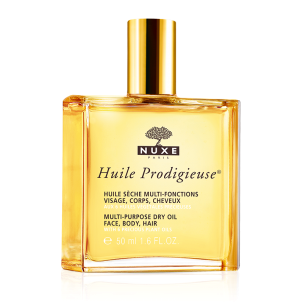 Unfortunately, Nuxe is sold at a much higher price in the US than it is in France: a quick comparison shows that the large bottle of Huile Prodigieuse is sold $45 before tax on the official US website, and 29.70 euros on the official French website, which is equal to about $40.5 but already includes 20% sales tax! Glad you love them too! I'm happy if I can help people discover new brands, I think that the French cosmetics brands have a lot to offer!